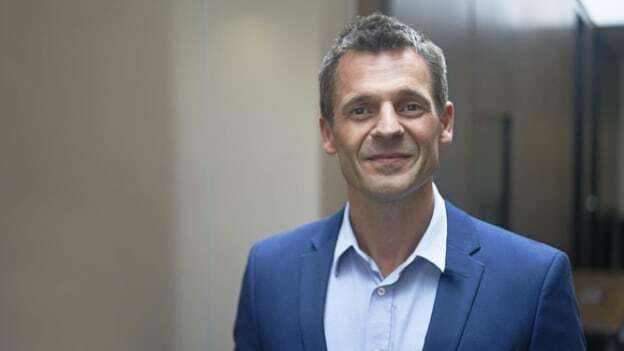 Southeast Asia has changed drastically over the years and two key trends that emerge are the rise of the modern workforce and digitalization, says Toby Fowlston, the CEO of Robert Walters APAC, in an interaction with People Matters. Toby Fowlston is the Chief Executive Officer for Asia Pacific at Robert Walters. Toby is responsible for Robert Walters’ operations across 13 countries and regions including Southeast Asia, Greater China, North Asia, Australia, and New Zealand. Prior to the appointment, Toby held the role as Managing Director of Robert Walters Southeast Asia. His recruitment experience started in Robert Walters UK where he assumed overall responsibility for the London business in 2012. He moved to Singapore in 2013, leading and growing the Southeast Asian recruitment business. Toby, in an exclusive interaction with People Matters, shares insights on Southeast Asia workforce dynamics, demand for ‘glocal’ talent, new skills economy, and highly-skilled employment market. How do you see the changing workforce dynamics in Southeast Asia and its impact on organizational effectiveness? Southeast Asia has changed drastically over the past 20 years, and so has the workforce. While each of our markets in the region has changed in different ways, there are definitely some general trends seen across the region. Two key trends we see are the rise of the modern workforce and digitalization. Talented professionals today view work as a key part of life and are looking for jobs that provide satisfaction and fulfillment, in addition to monetary benefits and incentives. The way people work and live has also been changed by digitalization, and we are seeing more people looking for flexible and mobile working opportunities. In response to the changes, companies need to adjust their recruitment strategies and policies. They need to communicate opportunities for training, up-skilling, and career progression, and introduce flexible working options to attract and retain top talent. How can organizations address the needs of millennials, who want greater flexibility in the way they work and career progression, while meeting business needs? We don’t believe that millennials are all the same – however, we do see more talent wanting flexibility and career progression in their work today. There is no one-size-fits-all answer to this because every individual and organization has different needs but I would recommend that companies review their HR policies to be more flexible. For example, in the Philippines and Indonesia, where traffic can be really bad at peak hours, companies can consider allowing employees to work from home, or introduce flexi-hours where employees can start later and end later. Of course, these policies need to make sense for the business as well. For example, if allowing employees to work from home means less collaboration opportunities and in turn, less creativity, then perhaps the organization needs to consider implementing certain hours or days where employees need to be in the office. There are myriad options and permutations and companies need to think about how these policies can benefit the employee without compromising business needs. Career progression can come in various forms, be it through promotions, up-skilling or job rotations. We encourage employers to talk about long-term career development for employees right from the start – during the interview process. Understanding what the employee wants and needs is essential to helping them develop in a meaningful manner. By regularly communicating about career development with employees, employees will also feel more valued and appreciated. The demand for local talent with international experience in Southeast Asian countries is apparently on the rise. How do you see the implication of this trend for talent and HR professionals? We see an increased effort by companies to hire local talent, in part due to government policies and recommendations. At the same time, businesses are looking to expand outside of the country and this has driven demand for “glocal” talent, or local talent with international experience. For less mature markets, employers often seek professionals with experience working in more developed markets to lead growing teams. Our whitepaper, published in 2018, noted that more than half (57%) of companies (Western and Asian) agreed that hiring international talent (home-grown or returning professionals who have worked for Western companies, whether overseas or in their home countries) is very important or somewhat important to them. We have also noticed more people looking to come back to their home countries to work. To help such talent seamlessly restart their lives back home, programmes such as our ‘Return Home’ programs ‘Balik Kampung’ in Singapore, ‘Pulang Kampung’ in Indonesia, ‘Come Home Pho Good’ in Vietnam and ‘Balik Bayan’ with the Philippines to ensure a smooth transition, have yielded results. The in-demand jobs for next year will be analytical and data-driven in nature – such as data scientists, UX designers, and other digital roles. How do you see the readiness of the talent pool and the overall transition currently taking place in the labor market? Digitalization is affecting most industries, beyond technology companies. Other than the roles mentioned, we also see strong demand for sales and marketing professionals with big data, digital, e-commerce and transformation experience, lawyers with knowledge in technology law and blockchain, and HR professionals skilled in HR technologies. The impact of digitalization reaches far beyond the technology sector. There is strong competition for tech talent that results in companies offering better pay, benefits and ideal work culture to lure tech professionals away, including those who may have just started a new job. It will take time for professionals to acquire the necessary digital skillsets through on-the-job training and courses and we encourage employers to provide training for their digital talent to help them gain the skills they need. Companies should also look at developing a more diverse workforce to transfer the necessary digital skill-sets within the teams. Innovations in digitization, artificial intelligence, and automation are creating performance and productivity opportunities for business. How will the impact of this advancement help reshape employment and the future of work? Technology is enabling the mobile workforce that is now capable of working remotely, and even from another country. With the rise of the mobile workforce, in-demand skill-sets include multi-tasking abilities, ability to adapt, and proficiency in multiple languages. Due to high demand for talent with specific skill-sets such as digital, hiring talent may mean looking beyond conventional hiring approaches, such as talent who may not be able to be physically in the office most of the time. With a mobile workforce, companies may be able to employ foreign workers who are skilled in certain sectors/industries. One of the advantages that this brings about is workplace diversity that encourages the exchange of ideas while bringing more talent and different perspectives together to solve problems. However, companies have to take extra security precautions in terms of protecting their data and privacy. But with robots on the rise, can the outlook for the highly-skilled employment market remain rosy? Organizations will always seek highly-skilled professionals to join their businesses. However, the definition of highly-skilled will evolve as we see more automation and AI and organizations will be seeking out talent who can leverage the latest technologies to accelerate the business. Now, we are seeing significant demand for professionals with relevant digital capabilities to make sense of the vast amount of information collected, and translate that to support the business strategies. This includes marketers with digital and e-commerce expertise, supply chain and logistics experts with knowledge in automation and machine learning and HR professionals with experience using the latest HR technologies. As technology continues to evolve, business needs will also change accordingly and the people they look for will be different but we believe that highly-skilled talent will remain in demand. How important is ‘work-life-balance’ school of thought in the context of today’s competitive business environment and rising stress level of employees? I think what we’ve seen in the past decade or so is a shift in employee mindset. As markets develop, employees today are no longer just working for a living, they want to bring value through their work and efforts and they feel stressed when they don’t see value in their work. I think employers are starting to understand this and change their policies and communications to help fulfill this need but there are still occasionally gaps where employees are given tasks they don’t see the value of. It may not be that these tasks have no value – it may simply be that the value of it wasn’t communicated well. This is further exacerbated by the fact we have technology to help us with a lot of the manual tasks, but employees still find that they are doing tedious tasks that don’t appear to have any meaning or value. This fatigue can only go away if employers take time to communicate the value of the work their employees bring. CHROs have transformed from being business partners to a leader in the business who tackles big issues arising out of business transformation. Do you see a spike in interest from business leaders at par with this? As businesses and economies evolve, HR teams across the region are increasingly expected to step into the role of a business partner – working together with the business to fulfill their needs. As such, the role of the CHRO has naturally evolved as well to take on new challenges and one of the major challenges today is business transformation. What are the top strategies organizations should embrace to avoid future talent shortages and find the best talents for them? Businesses in the region are placing more focus on employee retention by investing in training, offering benefits such as flexible working arrangements and providing attractive counter-offers for their top talent. As such, employers looking to hire skilled professionals will need to do more to secure the talent they want. This includes providing a competitive salary and benefits package, acting swiftly and maintaining good communication throughout the recruitment process. Most importantly, it’s about showing genuine interest in the candidate – his or her needs, goals and motivations, and demonstrating how he or she will be an integral part of the organization. To overcome skill shortages in certain sectors, companies should also expand their pool of candidates and reach out to local professionals residing overseas. We encourage companies to consider hiring candidates who may not fulfill all the requirements but demonstrate high potential, as the best candidates look for roles they can grow into. Employers demonstrating that they have the right teams and systems in place to support a candidate’s success in a role are also better positioned to secure top talent.